The students are placed in groups which correspond to their level in French. We use the Common European Framework of Reference for Languages. 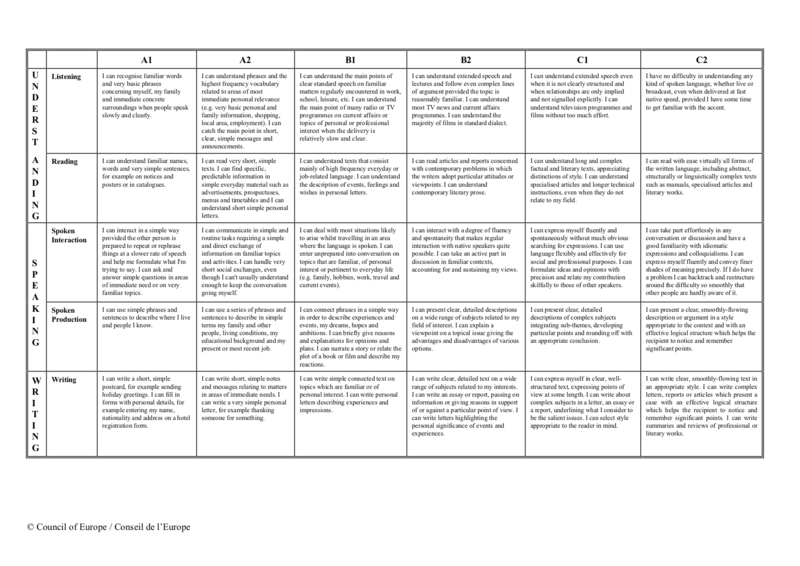 This framework, world renown, contains 6 levels and lists for each level the competences and knowledge required.